Content: Sterilization Techniques,Media Components and Preparation-MS media and Other alternatives,Callus (or tissue) cultures, Suspension (or cell) cultures, Anther cultures, Meristem cultures, Shoot tip, or shoot cultures, Node cultures, Isolated root cultures, Embryo cultures, Artificial Seed Preparation. 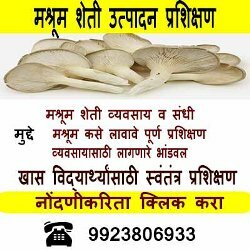 Sugarcane, Banana, Bryophyllum, Chrysenthum, Potato, Stag and Fern, Cactus, Rose, Gerbera, Tomato, Capsicum, Chinarose, Groundnut, Lettuce, Radish, Asparagus, Bramhi, Coriaria Arborea, Alovera, Bamboo and many more. 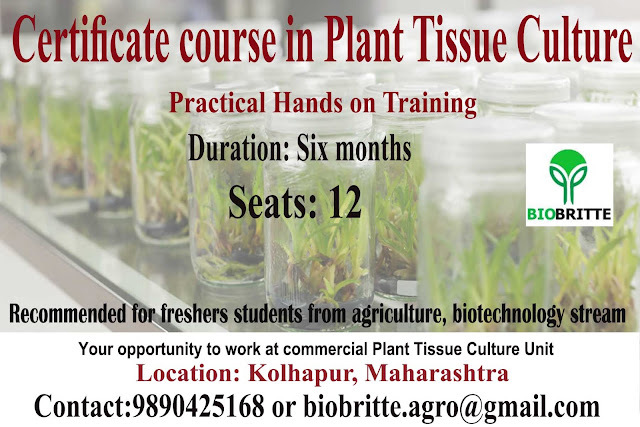 Your chance to work at commercial plant tissue culture unit.